A great tearaway stabilizer for hardtohoop, firmly woven items like napkins and ball caps, or bulky items like heavy seam allowances. 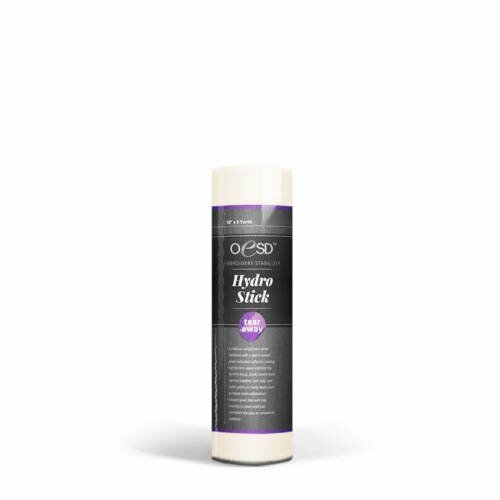 The starch based, water activated adhesive coating provides an extremely secure stitch out, as the item will stay in place until you remoisten the glue to remove the stabilizer. White, 10" wide.